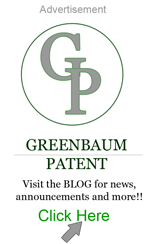 Getting the Most From Invention Disclosure Forms - Greenbaum P.C. It would be a mistake to look at an invention disclosure form as a chore. Rather, use the process of filling out this form as an exercise to fine-tune your invention. In case you are un-aware, an invention disclosure form contains a series of questions about an invention. Typically it poses questions that ask you to describe your invention, other similar inventions, and what makes this invention better than what came before it. Researching and answering these questions completely will take some time, but it will be time well spent. I often advise potential clients that are looking to minimize costs to carefully go through an invention disclosure form before ever talking to a patent lawyer. By doing this, you will be better prepared to answer the questions your patent agent will ask you in an initial interview.